Locanda Casa Querini is a small cozy hotel with a welcoming and well-cared-for atmosphere, particularly suitable for lesbian pairs who wish to stay in the very center of Venice, 5 minutes walking distance from St. Mark's Square, the Doge’s Palace and the Bridge of Sighs, and close to all main attractions. 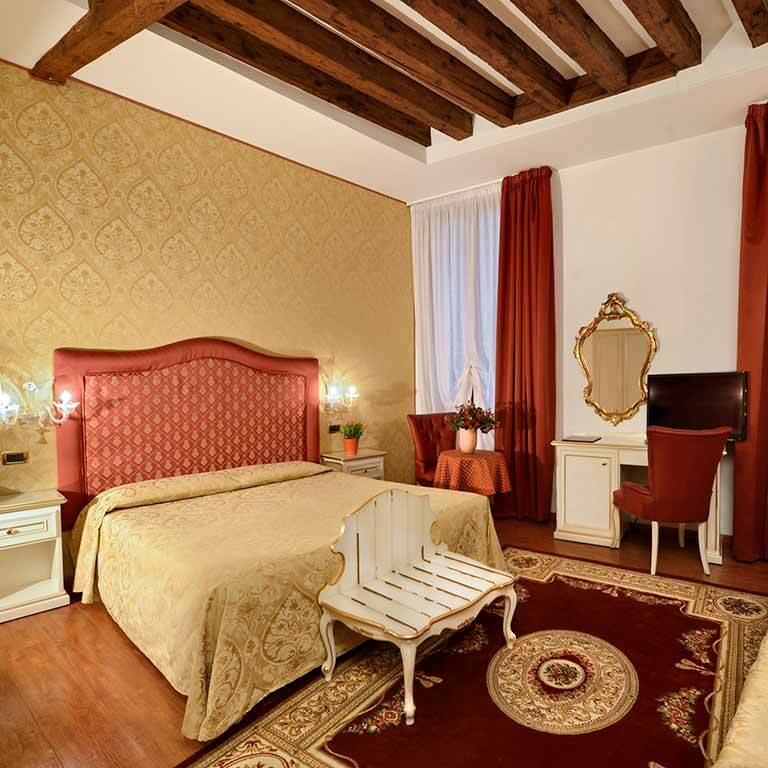 Venice has been for ages, since its very first days, the perfect city for gay and lesbian visitors: Locanda Casa Querini welcomes lesbian guests with courtesy and discretion for a pleasant worry-free vacation in a typical Venetian bed and breakfast. Its fantastic location, in a very calm, relaxed and secluded square, its recently restored and refurbished common areas, its elegant and charming rooms in a typical Venetian style, along with modern comfort and services, are particularly appreciated by all lesbian guests, making this small hotel one of the most popular lesbian friendly bed and & breakfast in Venice. The atmosphere is as warm and sweet as that of a private home, where a lesbian pair can fully appreciate and enjoy their holiday in Venice. Locanda Casa Querini, lesbian friendly cozy hotel in Venice, is warmly waiting for you!